The official kamiza for SKA karate clubs. This kamiza tapestry measures 60" wide by 51" tall and is made from 100% lightweight polyester. Easy to put up, take down, store, and transport. Larger sizes also available. The kamiza has the US and Japanese flags, the official SKA emblem (top) and the official SKA seal (bottom). 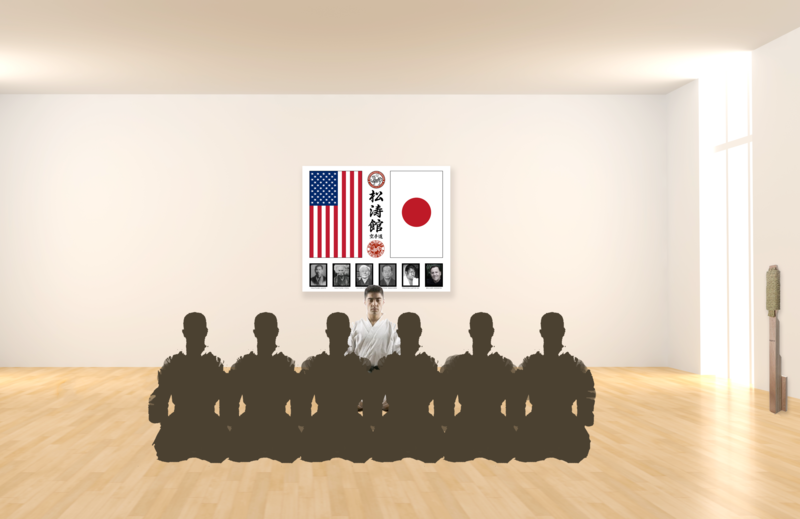 The Japanese kanji for "Shotokan" is written vertically between the flags with "Karate-Do" written horizontally underneath. 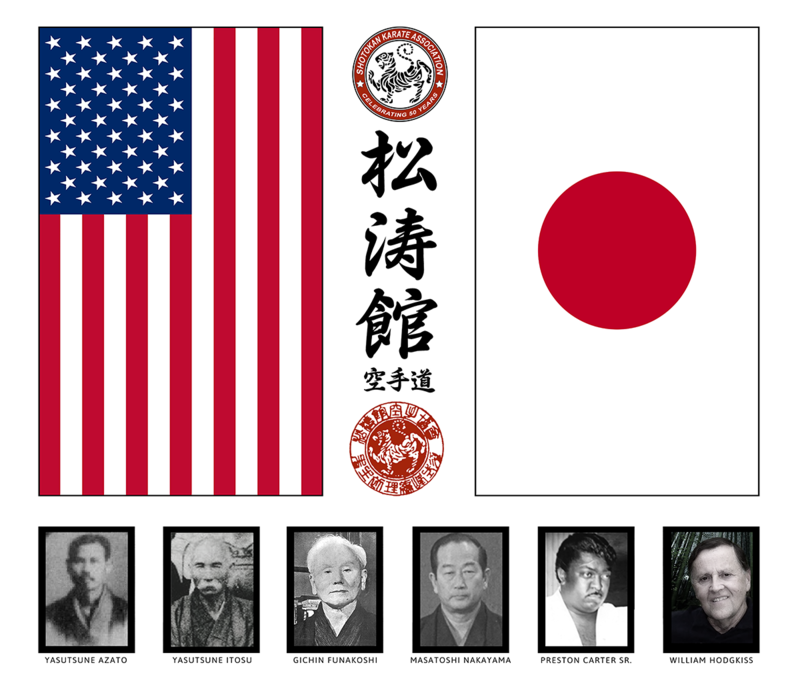 Across the bottom of the kamiza are the instructors in the SKA lineage from Azato to Sensei Hodgkiss, representing the masters who have gone before us and shaped the karate we practice today.